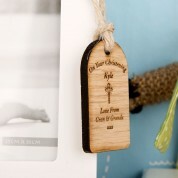 Each wooden tag is individual because of the grains of the wood varying. It is a unique way to finish off a christening gift and the tag can be kept as a keepsake on a pin board after the present has been opened. 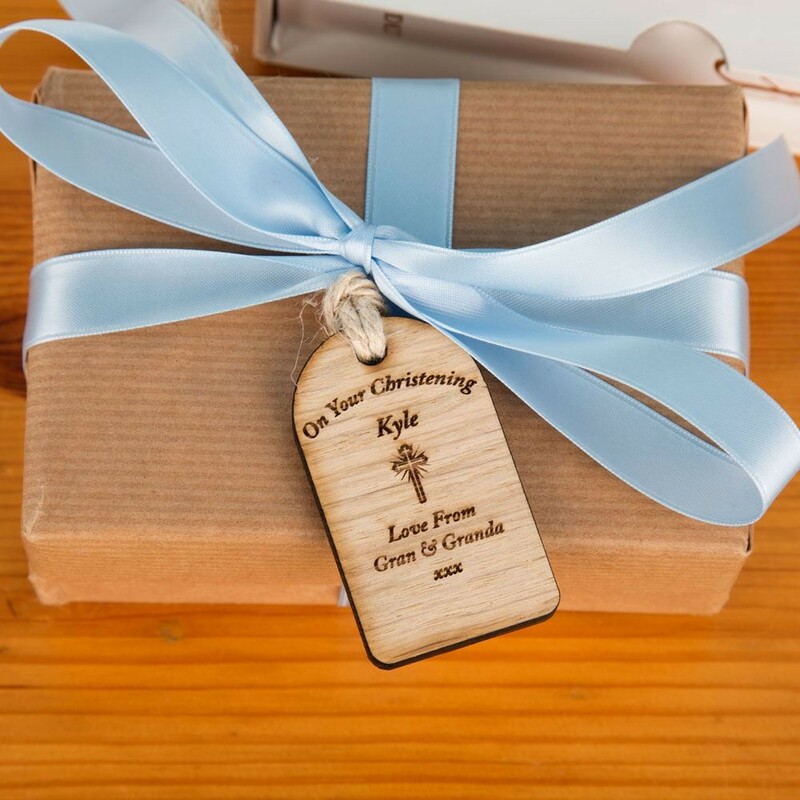 A loop of flax twine is attached to the gift tag to make it easy to attach to a gift or hang up in the home. 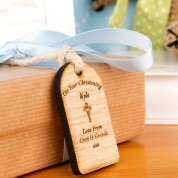 Each tag is individually engraved in house with the recipient's name and a love from message.